One of the most important contractual elements in a Pharmacy Benefit Manager’s (“PBM”) service agreement that is used in pharmacy benefit cost reduction is the definition and utilization of the MAC (“Maximum Allowable Cost”) list. The MAC generally refers to a PBM-generated list of products that includes the upper limit or maximum amount that a plan sponsor will pay for generic drugs. No two MAC lists are alike, and each PBM can pick and choose the products that make it to their list. 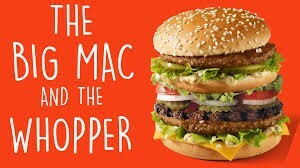 Without a solid understanding of how a PBM may try and use MAC pricing to their advantage, your Big Mac may turn into a Whopper! Additionally, the same PBM can deploy different MAC lists for either different clients or, utilize multiple MAC lists for the same client! To further complicate the matter, there is no standardization in the industry as to the criteria for the inclusion of drugs on a MAC list or for the methodology as to how the PBM will determine the maximum price. The PBM can change the number of drugs on the list and the price that is charged to the plan sponsor at any time and at the PBM’s discretion. Another common practice is for the PBM to change the number of drugs that are on the MAC list. Some PBMs maintain a broad list (more than 2,000 drugs) while others may support a much smaller group (1,000 or less). By moving drugs on and off the MAC list, the PBM can adjudicate the drug claim under a wide array of discounts. A MAC drug may receive a discount of AWP-85%; a non-MAC generic may only receive AWP-40%; while some non-MAC generics are calculated at the brand discount of AWP-17%. These practices are extremely important when evaluating and selecting a PBM. The need to negotiate a well-defined services agreement with the PBM is critical in order to obtain prescription drug cost reduction. This lack of clarity has not been ignored by many PBMs and they use it as a primary revenue source. Typically, they will use an aggressively low MAC price to pay their contracted network pharmacies and a different, higher price list when asking for reimbursement from their plan sponsor clients. The spread that is created (the difference in price between what is called “buy and bill”) is kept by the PBM. Most plan sponsors are unaware that multiple MAC lists are being used and have no real idea of how much revenue is being generated by the PBM through this business practice. This lack of transparency has also not been overlooked by the retail community pharmacy association or a number of state legislatures. They believe it is unfair to both the retail pharmacy and the plan sponsor when these transactions occur in a vacuum with no verifiable measures or metrics to define pricing decisions. A number of states are attempting to push legislation that would compel PBM disclosures to plan sponsors about the use of multiple MAC lists and provide pharmacies with information regarding how MAC pricing is determined and updated. 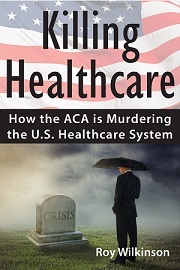 As usual, stay tuned for more to report on this important prescription drug cost control.